Adam Wilson - EFM Weight Loss Success Story! *Individual results may vary. In mid 2012 I was 20 years old and 138kgs. I didn’t play sport had zero confidence, was very depressed and was sick of being bullied. I’d had enough and needed to lose weight ASAP. I wanted to play football the next year so I used that as motivation. 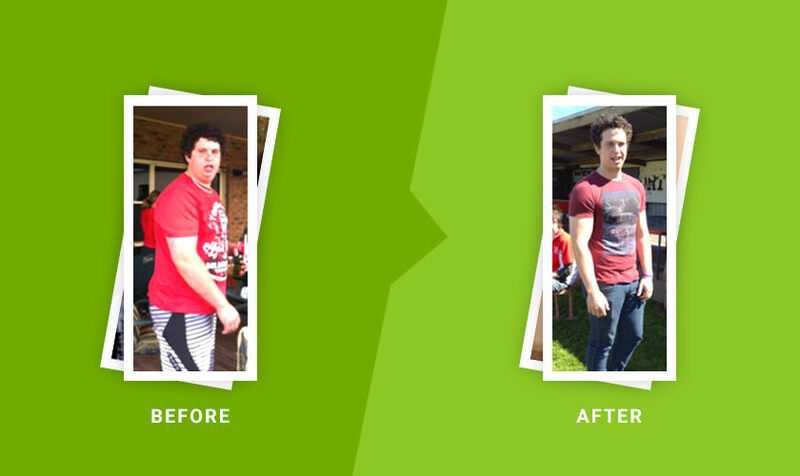 Trying to lose weight on my own was difficult, that’s when I heard about Richie at EFM Mount Gambier. I made contact and straight away he put me on an 8 week program that incorporated the EFM LEANing Challenge and the results speak for themselves. I have now lost 40kgs all up thanks to Richie and the crew helping to keep me motivated. Thanks to EFM for being so welcoming and supportive, there’s no turning back now, if I can do it anyone can! No excuses!